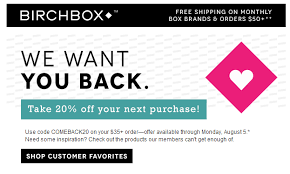 If you’re new to abandoned cart email campaigns, read on. If you’re more of an expert, skip ahead. Abandoned carts plague the world of eCommerce. According to recent statistics, the phenomenon is staggering, with a cart abandonment rate of 78%. 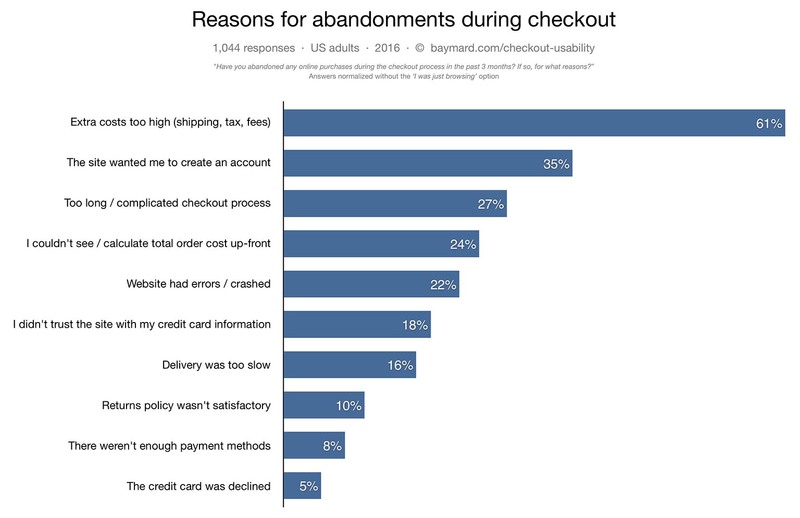 Cart abandonment is a costly thorn in the side for online retailers, particularly on Black Friday and throughout the holiday shopping season. If you’re already an expert on the abandoned cart email campaign, scroll to the bottom to find out what’s new for Black Friday 2017. Why do so many shoppers abandon carts on the most exciting, incentivized shopping day of the year? 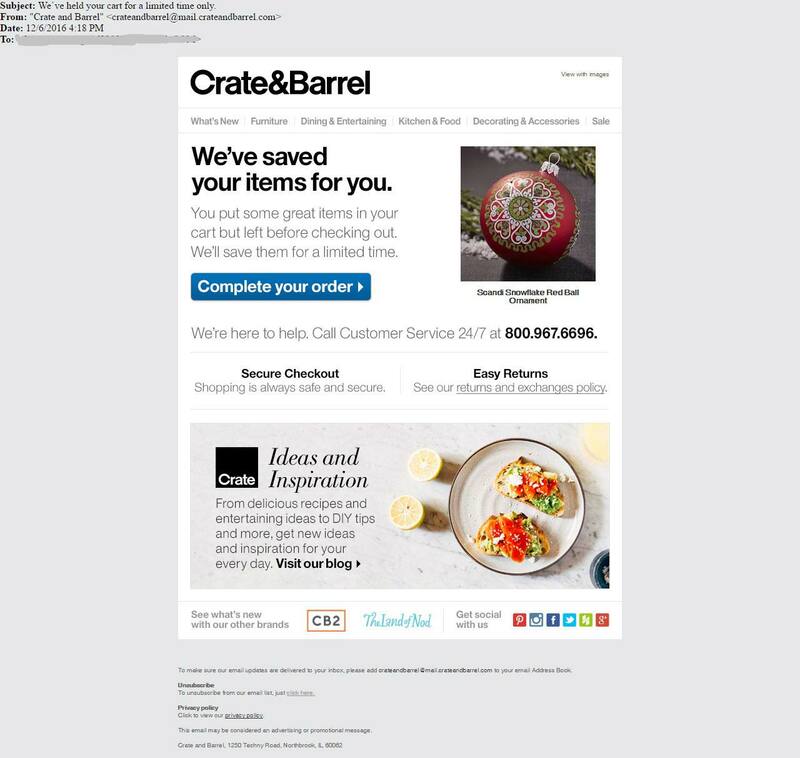 For eCommerce shops trying to recover lost revenue via abandoned cart emails, the window of opportunity is short. What matters most is the trillions in lost sales and how much of those you can recover. Holiday weekends like Black Friday, are not the time to re-think strategy and workflows. On Black Friday, think of those abandoned carts as an opportunity, not a problem. Your goal is to attract as many possible new customers to your site and then bring them back for holiday shopping. An abandoned cart email campaign is the most powerful tool for converting empty carts to customers. Developing an email remarketing program, designed to recover your portion of the estimated $260 billion dollars that experts believe are recoverable through checkout optimization, is critical for hitting seasonal sales goals. 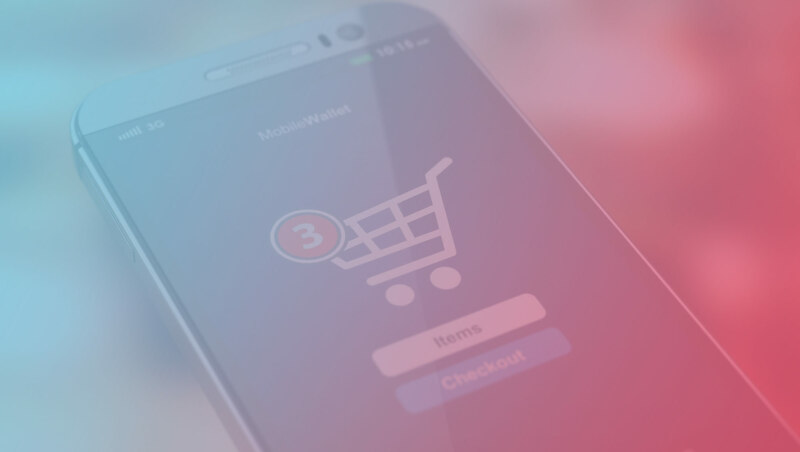 In this article we will diagram exactly how to design a powerful abandoned cart email that turns your abandoned carts into an opportunity for your brand. Black Friday is an adrenaline rush for consumers; capitalize on that by sending the first email within mere minutes of the browser abandonment. Catch them while they are still shopping. Abandoned cart emails deliver the best results when delivered as a series, planned over the duration of your sales period, which may be shorter during the Black Friday timeline. With a standard email retargeting campaign, you would send 2-3 emails over a 7-10 day period (or longer for stores where the Average Order Value is higher). Due to the shortened purchase cycles of Black Friday and Cyber Monday, a it’s perfectly acceptable to send 2-3 emails over 2-3 days. The secondary goal of an Abandoned Cart email series is to sell your BRAND. This is a second opportunity to remind the customer what you have in common and take a second look at the items they left behind. Through content, offers, and deadlines, the abandoned cart email must communicate an offer that is irresistible and personal. 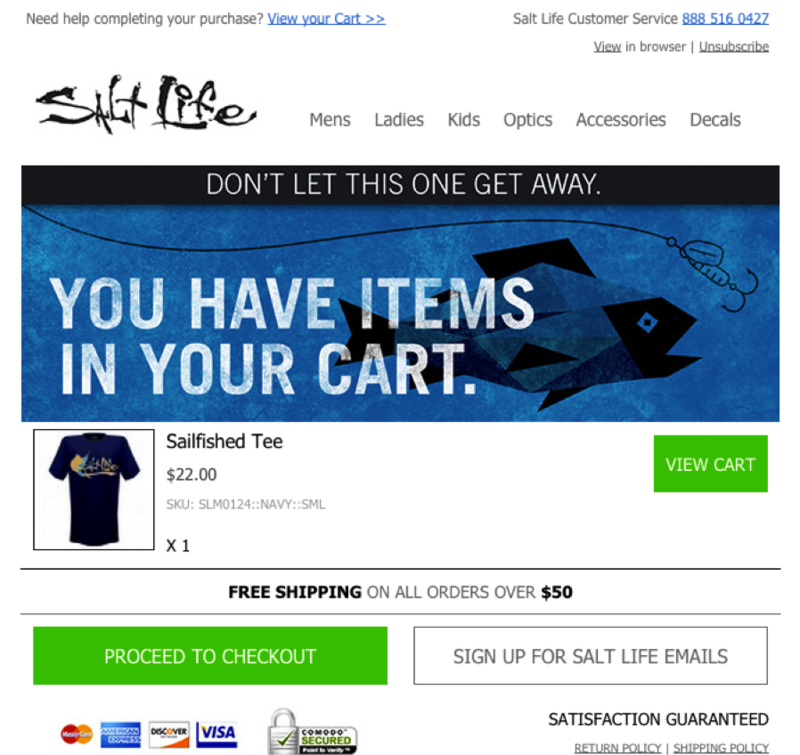 Salt Life appeals directly to their target customer persona using an image that visualizes “catching a big fish” which is perfectly aligned with their brand. Who Receives Your Abandoned Cart Email? The goal is to convert as many possible customers as possible which means visitors you know AND visitors you don’t know. Known customers are those whose email you have already. They may or may not have made a purchase but they have converted at some point. Unknown visitors are shoppers you do not recognize. They have either deleted their cookies or are first time visitors. 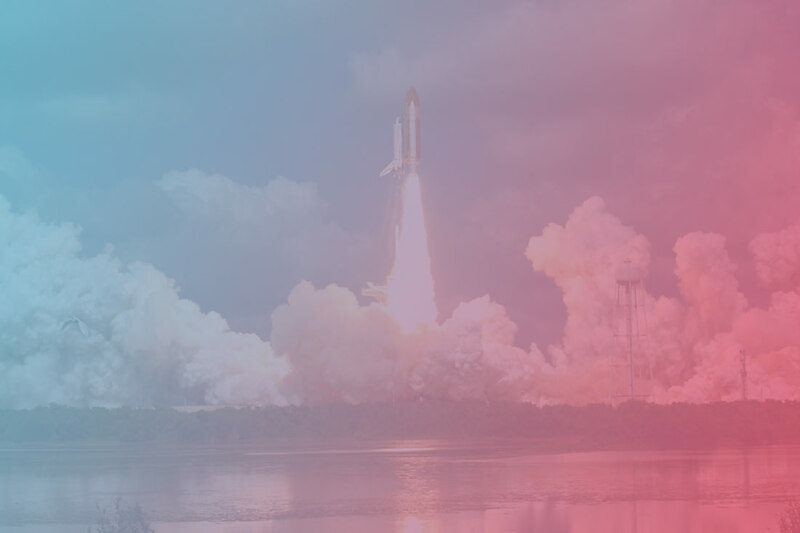 These unknown visitors hold the most potential for conversion through an email, as they may make up to 95% of your audience, and retargeted emails are 16x more effective than retargeted ads. How do you target these unidentified visitors with email? Given the massive amounts of marketing emails being delivered on Black Friday your subject line must be personal, specific, and compelling. You may or may not know this customer, but you need to connect with them. If possible, use their name in the body of the email. If not use a friendly, commonly used moniker your customer persona will relate to: “Hey, Chickie!” “Yo, Bro!”, “Greetings ma’am”, etc. 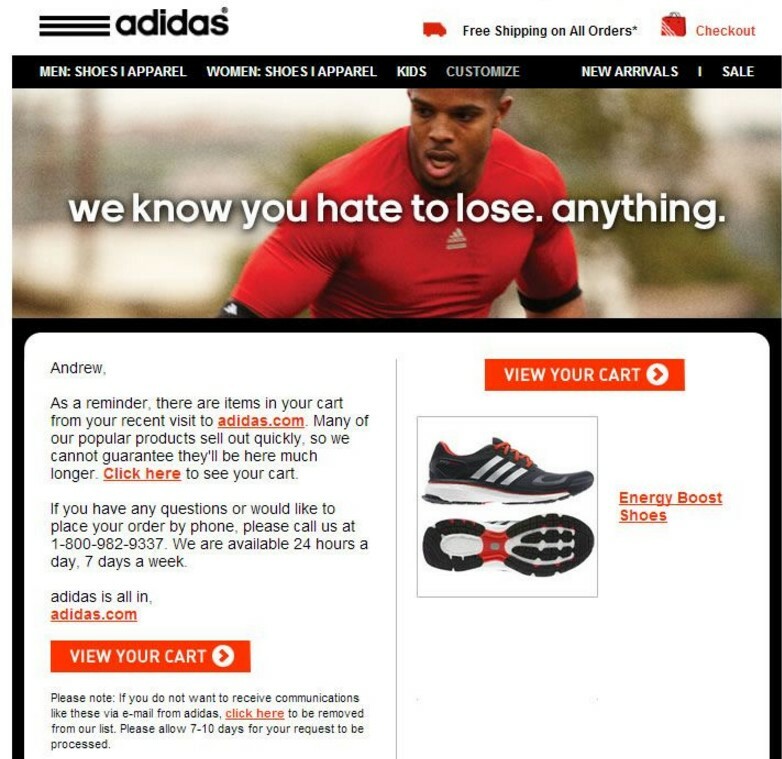 Adidas uses the shoppers first name to personalize their email marketing message. This well branded email makes a personal connection with their headline which appeals to their competitive, sporty customer persona. Show them exactly what they’re missing out on by including a visual of each and every item in their cart. Neiman Marcus features a large image and description of each item left in the shopping cart, along with a convenient link back to it. Include a direct, commanding Call to Action. 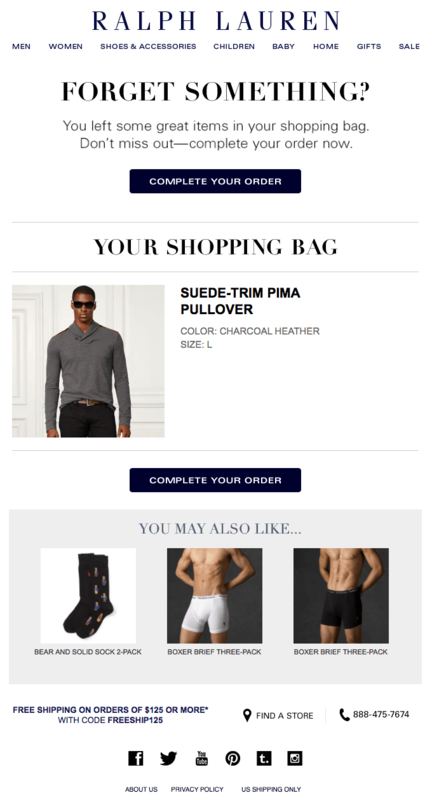 Neiman Marcus peppers their email with Calls to Action, from “Click to buy” to “Click here to view entire shopping bag,” giving the consumer many possibilities to click through. Crate and Barrel Commands Shoppers: Complete Your Order. 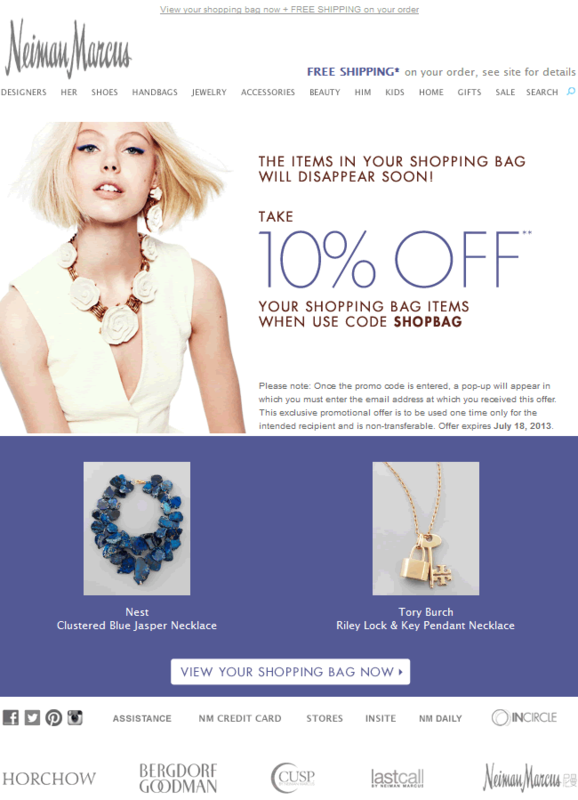 While Neiman Marcus uses a message that communicates a sense of urgency in the below examples. In reality, the shopper may just not want the item in their cart. Offer them an alternative. Include options for similar or incremental items to keep them interested and shopping. In the below example, Ralph Lauren not only links to the items that were abandoned but they also list three best sellers and staple products that easily convert incremental sales. Not only does the customer like the item, so do hundreds of other shoppers. Including testimonials and reviews provides dual benefits. It reinforces a social connection and the value of the product. Overstock uses other shoppers to communicate value on their behalf by linking to recent product reviews. Include a special offer. It is Black Friday after all. Reiterate what brought them to your site in the first place – and drive home that purchase with a great deal. Use terms like “Secure Checkout” and “Easy Returns,” as in the Crate & Barrel example above. Now that we’ve covered the who, what, when, let’s take a look at a “best practices“ framework for abandoned cart emails. This framework covers the 3 most commonly used email types within an abandoned cart series, and lays them out in order. Standard Timing: 5-10 minutes after abandon. Black Friday Timing: skip this one. Go straight to email #2. The goal is to catch them while they are still shopping, before they purchase elsewhere. The Reminder Email is a simple blast that communicates, “Hey, you LOVED this. 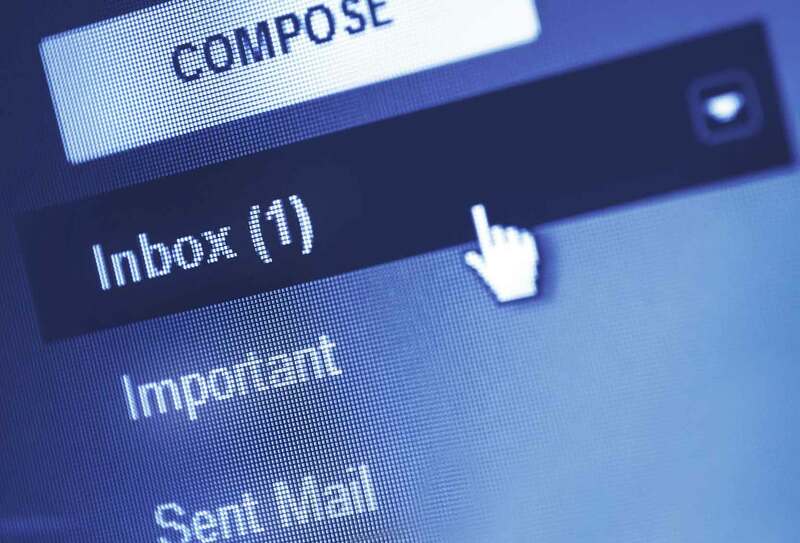 It’s still here and you need to get it now, before it’s gone.” The reminder email is a chance to reconnect with the customer on a personal level. It should be short, specific, and sent soon after the cart was abandoned. 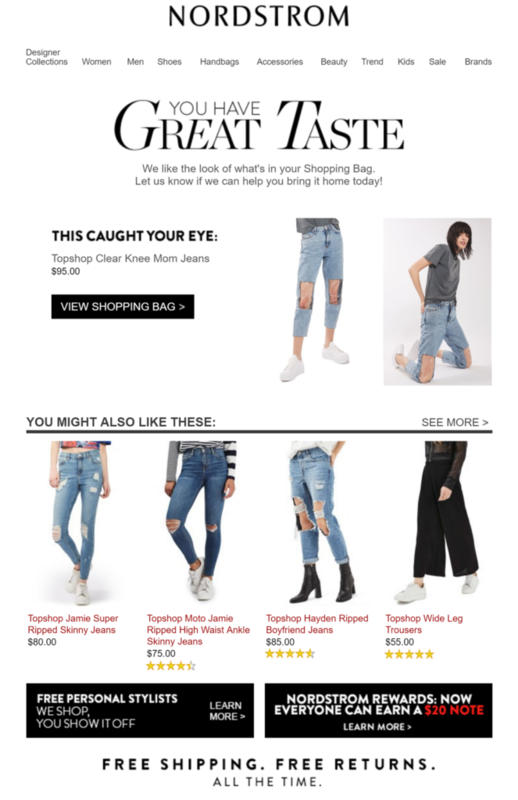 Nordstrom uses email marketing year-round to recover abandoned carts and makes a real connection by re-affirming the shoppers selection which forges a connection between the shopper and the brand. “You have Great Taste” -- Brilliant! Standard Timing: 24h after abandon. Black Friday Timing: 5-10 minutes after abandon. If your brand offers discounting or free shipping, include it. 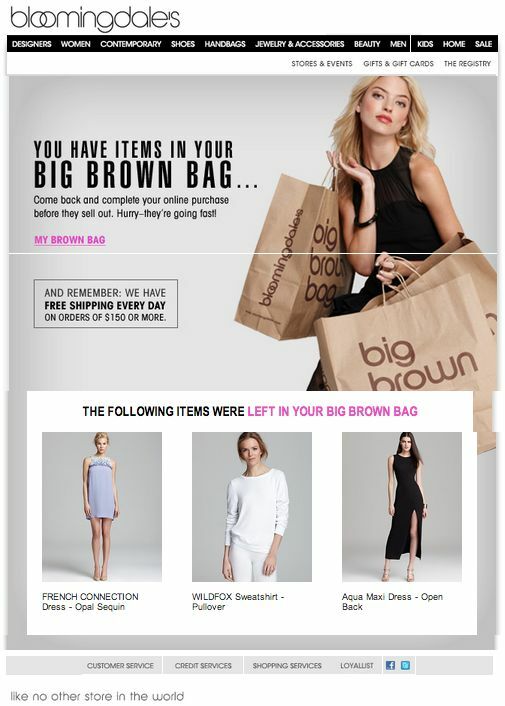 Bloomingdale’s relies on their well-known “Brown Bag” branding to reinforce their prestige. They also include a powerful reminder: these items ship for free. If you’ve developed a powerhouse Black Friday discount, this is the time to mention it. 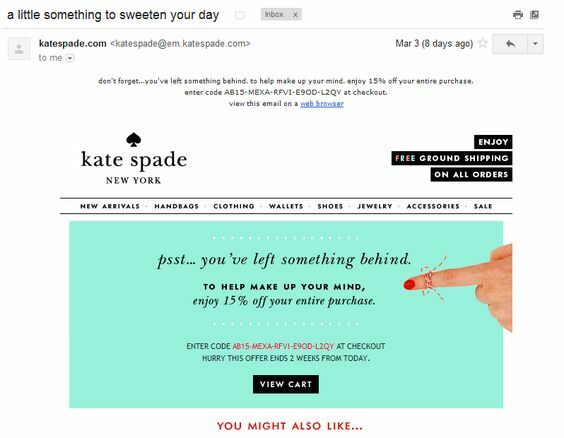 This example from Kate Spade is aligned with the brand and includes a timely and compelling offer to take fifteen percent on the shoppers entire purchase. 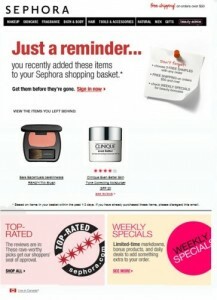 In the example below, Sephora includes a reminder, and a soft deadline. It acts as a warning and creates a sense of urgency. They include an explicit incentive, the post-it note that offers free samples and free shipping. Black Friday Timing: 1 day after abandon – if the sale is still applicable. Think about your shopper’s persona. They have either found the item they wanted and made a purchase (they’re an Active Buyer), or they have browsed a few sites, and used their shopping bags as a filter to save the items they’re thinking about for later (they’re a Browser). With a compelling offer and the right timing, you can convert a shopper with either persona into a customer. This is where the Trifecta email comes in. It combines a reminder, deadline and a discount. It also often includes credibility indicators as described above. Black Friday can stress even the most prepared eCommerce retailers. If the website goes down, the “Complete Order” stops working, or technical failures are the root cause of the abandonment, it’s time for the apology email. Glitches are going to happen, so when the fault is yours, reach out to those customers with an apology email. With Black Friday just around the corner, online retailers know that every purchase and every visitor counts. Given the amount of sales up for grabs, getting each and every potential prospect back to your site will make a measurable difference, and the abandoned cart email campaign is a valuable tool in your toolbelt. 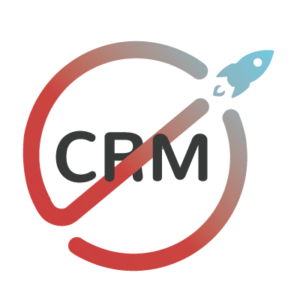 Most merchants already have their abandoned cart email remarketing setup. 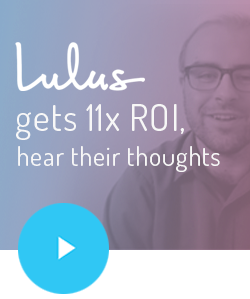 You send them to each visitor you recognize, and you know exactly how valuable these emails are. What about all those visitors you don’t recognize? 70-90% of your visitors are either first time shoppers, or have cleared their cookies since their last visit. If you aren’t reaching out to them you’re missing out on a big piece of the pie. This practice is called Prospect Email Remarketing, and it has been growing throughout 2017. Learn more about how BouncePilot can help your unidentified abandoners find their way back to your checkout.